The Best Elementary Teacher blogs from thousands of Teacher blogs on education in our index using search and social metrics. Also see top Primary Teacher blogs, First Grade Teacher blogs, Second Grade Teacher blogs, Third Grade Teacher blogs, Fourth Grade Teacher blogs, Fifth Grade Teacher blogs and Education Blogs list. 2.1 What the Teacher Wants! 2.49 Welcome to The Schroeder Page! 2.60 Write On, Fourth Grade! 2.73 1st Grade Hip Hip Hooray! 2.75 First Grade is Fantabulous! Elementary Teacher newsletter is a comprehensive summary of the day's most important blog posts and news articles from the best Elementary Teacher websites on the web, and delivered to your email inbox each morning. To subscribe, simply provide us with your email address. 1. What the Teacher Wants! Utah About Blog What the Teacher Wants was started in 2010 as a way for Rachelle to post pictures of her classroom and share her teaching ideas. We share teaching ideas for the K-6th grade classrooms to make life easier for the teacher and learning fun for the students! Facebook fans 215,523. Twitter followers 3,199. California About Blog I've taught in schools as small as 300 students and as large as 2,000 students, both public and private school, from a Title I school to schools where funds were readily available. From this wide range of experiences I've gained wonderful insights of a broad spectrum of what education is all about. You will find my lessons and materials are an accumulation of my experiences. Facebook fans 66,064. Twitter followers 271. About Blog A kindergarten, first grade, and second grade teaching blog. I focus on writing, grammar, reading, and social studies.Lori have taught every grade from Pre-k through fifth grade. My personality is best suited for primary aged students because I can be quite wacky! Facebook fans 33,475. Twitter followers n/a. About Blog Welcome to The First Grade Parade where together we’ll be marching through the world of primary education. My name is Cara Carroll. In my current role as an educational consultant, I love helping teachers whether it be through meaningful & engaging professional development, mentoring, one-on-one consulting, or even just an encouraging smile and a pat on the back. Facebook fans 42,064. Twitter followers 1,131. About Blog Top educators bringing you the best resources for your classroom every day and always free! Facebook fans 186,000. Twitter followers 2,034. Facebook fans 75,926. Twitter followers 10,428. About Blog My name is Katie King, and I am a first grade teacher and mother of two. This is my seventh year teaching first grade and I can't, at this point in time, imagine doing anything else! I love teaching reading, being creative, and simply being with young people. Facebook fans 27,481. Twitter followers n/a. About Blog Fun, engaging teaching ideas and resources to INSPIRE a love of learning! Facebook fans 20,044. Twitter followers n/a. About Blog I have 11 years experience teaching 1st grade. I love what I do! Teaching is the best job in the world! Facebook fans 13,105. Twitter followers n/a. Ohio About Blog A blog that shares my experiences as a school counselor and elementary school teacher. I share creative counseling lessons, social-emotional book reviews, and organization and documentation tips. Facebook fans 1,813. Twitter followers 452. California, USA About Blog I have been blogging since January 2012 as a New Year's resolution. I am currently in my 10th year of teaching. My experience includes teaching one year in a 1st-2nd combo class, 2 years in 4th grade, and 7 years in Kindergarten. Facebook fans 14,292. Twitter followers 2,495. About Blog Engaging and fun K-2 teaching ideas and resources! Facebook fans 15,400. Twitter followers n/a. Ohio About Blog Elementary instructional leader talking about literacy, learning, life! Virginia About Blog Looking for literacy resources and ideas? You're in the right place. Carla is a reading specialist and literacy coach sharing ideas and materials to help teachers and parents with literacy instruction. Elementary Reading Specialist, Blogger at Comprehension Connection, and Contributor on Adventures in Literacy Land. Facebook fans 17,111. Twitter followers 609. About Blog A teaching blog featuring time saving resources, beautiful & functional classroom décor, and teaching inspiration! I have taught second grade for the entire length of my teaching career, going on eight years now! Second grade has been fantastic. The kids can handle taking on difficult concepts but still enjoy doing "kidish" things! Facebook fans 29,378. Twitter followers 26. Florida About Blog Welcome to Jen's blog where all her passion comes together, she is a girl who loves teaching. She is a first grade teacher teaching in sunshine state. Facebook fans 12,415. Twitter followers n/a. About Blog Amy Lemons is a second grade teacher who provides tips for all the second grade students. Facebook fans n/a. Twitter followers 2,511. About Blog Annie Moffatt is a stay at home mom, wife and a former elementary school teacher. She loves teaching, but she loves raising her girls even more! Facebook fans 71,066. Twitter followers 278. Long Island, NY About Blog This is a teaching blog by Erica Bohrer. Erica teaches first grade and loves creating fun, engaging, and visually appealing teaching resources. About Blog Kate Messner is the award-winning author of more than a dozen current & forthcoming books for kids. Kate also spent fifteen years teaching middle school. Facebook fans 766. Twitter followers 30,564. Dallas, TX About Blog Teaching resources, activities, games, & worksheets for the K-2 classroom. Classroom management & organization tools. Facebook fans 3,528. Twitter followers 40. About Blog I am a huge fan of other teacher's blogs and thought it would be fun to share some of my classroom ideas with you! I taught first grade for 4 years. I was an elementary librarian for 3 years. Then back to first grade. Facebook fans 14,942. Twitter followers n/a. Lubbock, TX About Blog Nicole is a elementary teacher who loves sharing teaching ideas. Facebook fans 10,010. Twitter followers 35. Portland, OR About Blog Ideas for your primary classroom.A first grade blog for teachers. Facebook fans 6,137. Twitter followers 96. South Carolina About Blog I'm Amanda, the teacher behind Teaching Maddeness. My degree is in elementary education from the University of South Carolina with a masters degree in divergent learning from Columbia College.I have taught for fifteen years and have been lucky enough to have spent all of those years in second grade. Loganville, Georgia, United States About Blog I have taught grades 1, 2, 3, 4, 5, Transition, EIP, and now Literacy Coaching over the past 28 years. Although First Grade which is where my heart lives, I spend a lot of time in K-5 classrooms daily! Facebook fans 4,899. Twitter followers 87. Florida About Blog I have been a teacher in the sunny state of Florida since 1994.My first class was a group of incredible 5th grade students in a Drop-out Prevention program. Now I teach gifted second graders, who also teach me a thing or two each day. Facebook fans 13,171. Twitter followers 3,844. Southern California About Blog I am a curriculum developer and teacher blogger who designs lessons & activities to teach common core standards in language arts, math & classroom management. I love using and creating interactive notebook lessons and task cards in my classroom and share my tips and techniques with my readers. Facebook fans 5,326. Twitter followers n/a. About Blog Literacy and Math Ideas enjoys creating unique and fun teaching resources. Facebook fans 4,450. Twitter followers 49. Missouri, United States About Blog Welcome to First Grade Fever blog! I am an early elementary teacher that loves to create and share K-2 activities for my kiddos! Join me for a little K-2 chit chat and follow my blog as we venture through another awesome year!!! Hammond, Louisiana. About Blog I am a 3rd grade teacher in Hammond, Louisiana. I teach math and science to 45 awesome students!! I am constantly trying new things with my students and love finding new ways to engage them in learning. I enjoy exploring new technology projects. I recently created QR codes to use in my classroom. Vancouver, B.C. About Blog Where book love and the joy of a classroom community are shared.Elementary Teacher. Reader. Book/Education blogger. Book Fanatic when it comes to children's literature (PB, NF, MG, YA) Thinking about all things literacy. Facebook fans n/a. Twitter followers 5,871. Vancouver, Canada About Blog Teaching ideas for reading and writing with links to children's literature. I am an elementary teacher in Vancouver, Canada, where I have taught for over 20 years. About Blog Bright Ideas for Your Primary Classroom! Teaching resources and ideas for your primary grade classroom. Math, literacy, cross-curricular, and more! Facebook fans 1,629. Twitter followers n/a. United States About Blog This blog provides a continuum of educational strategies, based on informed decisions and to prepare all students with a core foundation so that together we are productive members in a global society. Facebook fans 22,310. Twitter followers 5,345. About Blog I love reading and writing in my classroom. I am using this as a space to reflect on my teaching and hope you will join in.Exploring literacy and reflection in the fifth grade classroom. About Blog School counseling ideas, tips and enthusiasm! I am always thinking about new ideas to use with my students. Ideas that will grab their attention, get them engaged, have an impact, and help them to be successful in school and in life. This is my 18th year as an urban elementary school counselor. I am also certified to teach elementary students and special education students. Facebook fans n/a. Twitter followers 2,087. 49. Welcome to The Schroeder Page! About Blog The Schroeder Page is a resource and forum for teachers to unite and share classroom ideas to better their teaching. It constantly changes to bring new ideas from teachers in the classroom now. I am an elementary school teacher of 14 years. Facebook fans 4,106. Twitter followers n/a. About Blog We are kindergarten and first grade teachers from Oregon who love sharing our ideas with you! About Blog She worked for over a decade as a national literacy consultant for the Teachers College Reading and Writing Project (TCRWP) based at Columbia University. This work has taken her into K-8 classrooms all over the country to support teachers and administrators with reading workshop, writing workshop, and all aspects of a balanced literacy curriculum. Facebook fans n/a. Twitter followers 229. About Blog How kids really act, think and learn in today's classrooms. I am Corey Green, a National Board Certified Teacher with a Master’s Degree in Elementary Education. I have taught grades 3-8 and I have worked with students in grades K-12. Ridgewood, N.J. About Blog I teach Writing Workshop, Language Arts and Social Studies to sixth graders at a middle school in suburban New Jersey. This blog is my attempt to capture all the stuff that goes into my teaching life the planning, the dreaming, the reading, the preparing, the hoping and (above all) the kids. Facebook fans n/a. Twitter followers 5,165. NJ About Blog I am a former 6th grade Language Arts teacher and current high school English teacher who strives to instill a love of reading and writing in her students.I am a reader, a teacher, a writer, a thinker, a reviewer, and a dreamer of dreams. Facebook fans n/a. Twitter followers 7,413. 60. Write On, Fourth Grade! United Kingdom About Blog Miss Bre's Busy Bees is a Michigan licensed group daycare home. Serving families with children age infants - school age. Facebook fans 135. Twitter followers 2,194. Facebook fans n/a. Twitter followers 5,653. About Blog A Blog Dedicated to Providing Creative Resources to Fellow Teachers and Parents.Most of my teaching experience has been in early primary–grades Pre-k to second! Facebook fans 2,168. Twitter followers 91. Pennsylvania About Blog I am a teacher, writer, and parent. I'm always trying to find the balance between the big ideas--the forest--and the small details--the trees.She is a sixth grade classroom teacher. Maine About Blog Lit On Fire: Fueled by and inspiring a passion for literacy! Literacy coach who loves her K-8 teachers, mom of 2 teens, lucky wife, mamarazzi photographer. Facebook fans 75. Twitter followers 2,771. Clifton Park, New York, United States About Blog Thoughts, lessons, and creativity from a third grade teacher. Bringing you resources and ideas for the elementary classroom. Facebook fans 2,827. Twitter followers n/a. Ohio About Blog I'm a 5th/6th grade ELA gifted intervention specialist with a wonderful husband and two fantastic daughters. I love to read, write, teach, learn, hang out with friends and family, walk my dog, and travel. About Blog I have been teaching for over 15 years, with the majority of that time spent in 3rd grade. I have an EdS in Early Childhood Education and School Administration. Facebook fans 832. Twitter followers n/a. 73. 1st Grade Hip Hip Hooray! About Blog Follow this site for curriculum, crafts and ideas to enhance your creative classroom! I have been teaching since I earned a masters in education and am so interested in bringing technology into the primary classroom through my website. Facebook fans 2,115. Twitter followers n/a. 75. First Grade is Fantabulous! New York About Blog A first grade teacher's blog. Includes grade level appropriate activities as well as teacher conversations. About Blog First grade classroom blog. Follow 1stgradefireworks for teacher tips, resources, freebies, and organization for homeschool and classroom friends. About Blog I'm a literacy specialist at a K-8 school in Northwestern CT. My job is two-fold: I work with at-risk first grade readers, supporting them as they learn to read, and I work with classroom teachers, helping them improve and refine their literacy instruction. Ohio About Blog I am currently teaching and learning with 20 very excited first graders who love learning as much as I do! I am Elementary educator, Apple Teacher, Technology Integration Coach and loves to share my experiences. Facebook fans n/a. Twitter followers 2,915. About Blog I have been a public-school educator for 18 years. I started as a middle school language arts teacher and then moved into school leadership as an assistant principal. I’m now in my 11th year as a school leader, currently serving as an elementary school principal in Dublin. Facebook fans n/a. Twitter followers 2,824. About Blog TALENE is a playground for your little ones to learn joyfully. Learning is not a matter of simply storing of facts and skills. Children construct knowledge. Facebook fans 1,277. Twitter followers 10. Nottingham, England About Blog Ideas, reflections, and links from a 3rd grade teacher in a 1:1 environment. About Blog I have been teaching for ten years in grades first through fourth. There's a smile on my face everyday, for I am truly grateful for this life I've been given. About Blog My teaching career has taken me from Minnesota to Alaska then Missouri and finally Iowa. I’ve taught all levels K-12 at some point or another, and find that the middle grades are my “home”. Yes, apparently I’m a glutton for punishment if you know middle school students, but yet, I truly enjoy teaching them. Facebook fans n/a. Twitter followers 5,404. About Blog Reflecting on yesterday's memories and today's experiences. I am a wife, a writer, a reader, an elementary librarian. About Blog if you work really hard and are kind, amazing things will happen. kate is a literacy interventionist and former fourth grade teacher and tara has been teaching since 1997 and has experience in grades k through high school as well has international teaching experience in ireland, but her favorite spot has been co-teaching in a 4th grade classroom. About Blog Building teachers' craft and confidence. Monique taught primary grades in New York City public schools for several years before joining the Teachers College Reading and Writing Project as a literacy staff developer. She has worked at the Project for nine years supporting teachers in the tri-state area, across the country and internationally. About Blog I retired from teaching at the end of the 2013-14 school year. I spent the last nine years of my teaching career in 6th grade where I taught Language Arts and Social Studies. I'm an avid reader, a lover of learning, and a fledgling writer. About Blog One third grade teacher trying to make a difference. Dublin, OH About Blog Maria Caplin is a mother, 5th grade teacher, reader, LOVE words, 21st Century Learner. Facebook fans n/a. Twitter followers 1,642. Sunbury, Ohio About Blog I am a teacher and a learner. I listen carefully to the voices of children because when we really listen, they tell us all there is to know about teaching wisely and well. I have been a teacher, a consultant, a writer, and an elementary school principal. I believe strongly that conversations and relationships are at the heart of all learning. Facebook fans n/a. Twitter followers 2,645. About Blog Follow along to find great ideas, freebies, and other resources for 2nd and 3rd Grade! Facebook fans 3,478. Twitter followers n/a. About Blog Welcome to the place for teachers to share bright ideas, creative lesson plans and activities! Teach Junkie is proud to promote the work of teachers. Facebook fans 16,055. Twitter followers 208. About Blog I used to be a design engineer. Now I'm an elementary school math teacher.I work in Dallas Texas with a very diverse, at times frustrating, at times inspiring group of kids. Facebook fans 1,670. Twitter followers 812. Kentucky About Blog A first grade teaching blog. I hope to share classroom tips, games and ideas that work in my classroom with others. Facebook fans 1,010. Twitter followers 171. 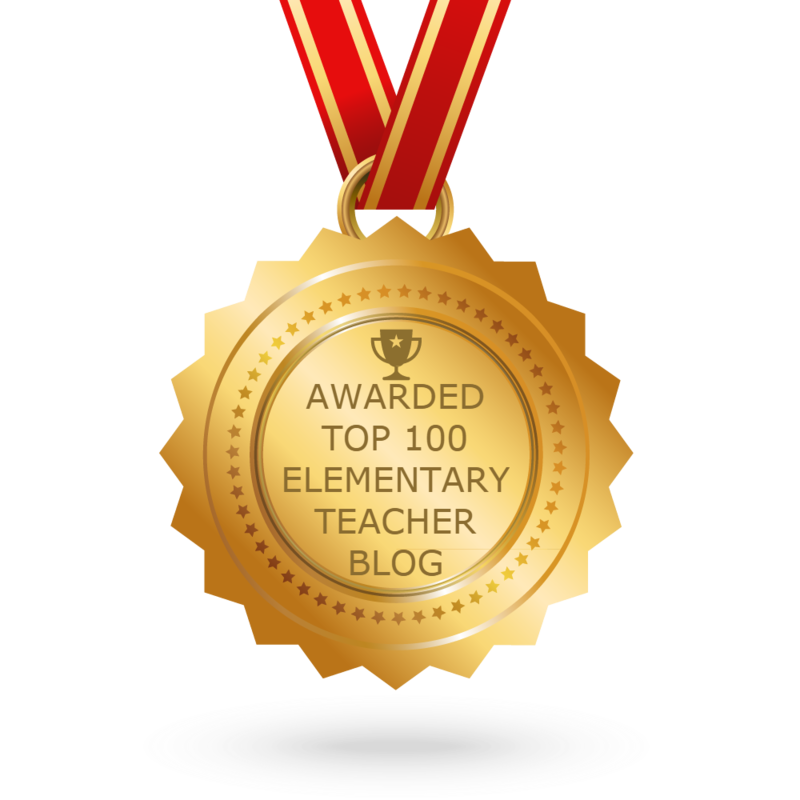 CONGRATULATIONS to every blogger that has made this Top Elementary Teacher Blogs list! This is the most comprehensive list of best Elementary Teacher blogs on the internet and I’m honoured to have you as part of this! I personally give you a high-five and want to thank you for your contribution to this world.